Since taking office in January 2015, Governor Charlie Baker has been focused on making Massachusetts a great place to live, work, start a business and raise a family, while delivering a customer-service oriented state government that is as hard working as the people of the Commonwealth. Despite facing two budget gaps worth more than $2 billion, Governor Baker has made investments that bolster local aid for our schools and communities, invest in a more reliable public transportation system, including $2.8 billion into roadway and bridge projects, and help fight the opioid and heroin epidemic. Raised in Needham, Governor Baker and his wife Lauren reside in Swampscott, and are the proud parents of their three children, Charlie, AJ, and Caroline. Jonathan Bush is CEO and President of athenahealth, Inc. He co-founded the company in 1997 and took it public in 2007 in the most successful initial public offering that year. Today, athenahealth remains one of the healthcare information technology industry’s fastest growing companies. In his New York Times best-selling book, Where Does it Hurt? : An Entrepreneur’s Guide to Fixing Health Care, Bush describes his early experiences on healthcare’s frontlines and exposes the industry’s sprawling waste, as well as the underbelly of opportunity primed for disruptive innovation. Previously, Bush served as an EMT for the city of New Orleans, was trained as a medic in the U.S. Army, and worked as a management consultant in the healthcare practice of Booz Allen & Hamilton. He obtained a Bachelor of Arts in the College of Social Studies from Wesleyan University and an M.B.A. from Harvard Business School. Jim Canales is president and trustee of the Barr Foundation in Boston. While he’s worked in philanthropy for more than two decades, Jim started his career as a high school English teacher in San Francisco after earning a bachelor’s degree in English and a master’s degree in education from Stanford University. He currently serves as a trustee of the Isabella Stewart Gardner Museum and as a member of the Advisory Board for the Harvard Business School Social Enterprise Initiative. In 2015–2016, he co-chaired the Leadership Council of Boston Creates, the City’s cultural planning process. Superintendent Tommy Chang became the leader of Boston Public Schools on July 1, 2015. Under Dr. Chang’s leadership, the district operates under the three core values of equity, coherence, and innovation with a focus on fostering safe, welcoming, and sustaining learning environments for all students. Prior to joining BPS, Dr. Chang served as the local instructional superintendent of the Intensive Support & Innovation Center (ISIC) at the Los Angeles Unified School District (LAUSD), where he oversaw 135 schools and approximately 95,000 students. Previously he taught biology at Compton High School and was a founding principal of a charter school in Venice, CA. A native of Taiwan who immigrated with his family to the U.S. at age six, Dr. Chang grew up in Los Angeles and holds an Ed.D. in Educational Leadership from Loyola Marymount University, a M.Ed. from the Principals Leadership Institute at the University of California Los Angeles (UCLA), a M.Ed. from the Teachers Education Program at UCLA, and a bachelor’s degree from the University of Pennsylvania. 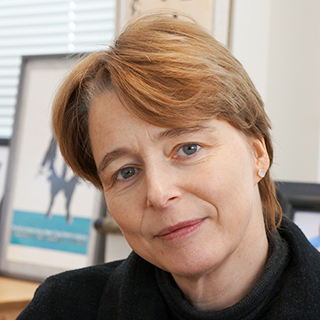 Ophelia Dahl has been advocating for the health and rights of poor people for nearly 30 years. In 1983, she volunteered at the small Eye Care Haiti clinic in Haiti’s impoverished Central Plateau. There she met Paul Farmer, and together (and with others) they founded Partners In Health. They have been working with a big team ever since to deliver high-quality health care to the destitute sick in ten countries around the world. Dahl has served as chair of the board since 2000 and served as executive director from 2001 to 2015. She is a graduate of Wellesley College and the recipient of the Union Medal by Union Theological Seminary. Dahl is chairman of Dahl & Dahl LLP, which manages the literary estate of her late father, the writer Roald Dahl. She also serves as vice president on the board of Roald Dahl’s Museum and Story Centre. Carolyn De Jesus Martinez moved to Boston from the Dominican Republic 2.5 years ago and is an 11th grade student at Boston International Newcomers Academy (BINcA). Carolyn is an outstanding student and has embraced the opportunities offered by the Boston Public Schools. Carolyn is an active member of the BINcA School Site Council and has won several awards as a member of the BINcA Debate Team. Two years ago, Carolyn worked in Boston City Hall as a participant in the Private Industry Council’s Tech Apprentice program and last summer, Carolyn continued to pursue an interest in technology through the Girls Who Code Program. Carolyn also has a passion for improving her community and worked as a Change Agent through the Mayor’s Youth Council. Carolyn lives in Hyde Park with her mother and younger sister. 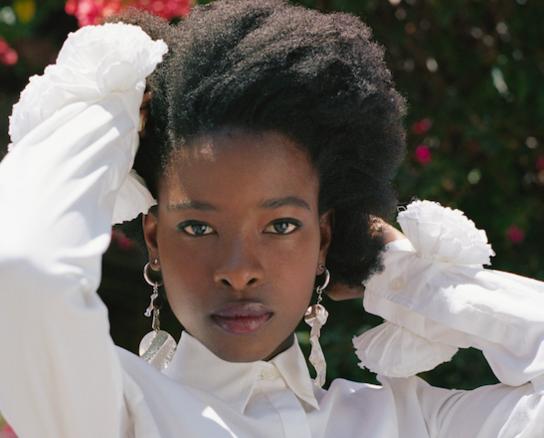 Amanda Gorman, 19, is the first ever Youth Poet Laureate of the United States. A Harvard sophomore she has spoken at the UN's Social Good Summit and the Library of Congress, and also met with Michelle Obama at the White House. Her poetry book was published in 2016, and her work has appeared or is forthcoming in the New York Times, the Wall Street Journal, and The Huffington Post. Amanda, who plans to run for president in 2036, introduced Hillary Clinton at the Global Leadership Awards and delivered a State of the Union Address on MTV. She is founder and Executive Director of One Pen One Page, an organization that promotes literacy and leadership through creative writing workshops. Since January 2015, Maura Healey has served as the Attorney General of Massachusetts, leading the People’s Law Firm in the fight for fairness and equality. Since assuming office, Healey has focused on expanding economic opportunity by addressing rising energy and health care costs, tackling student loan debt, and ensuring fair treatment for workers and a level playing field for businesses. Healey has also gained national prominence for her leadership in combatting the state’s opioid epidemic, including expanding addiction prevention training for young people. Healey is a graduate of Harvard College and Northeastern University School of Law. Celeste Ng is the author of the New York Times bestselling novels Everything I Never Told You and Little Fires Everywhere. Her writing has been awarded the Pushcart Prize, the Massachusetts Book Award, and a fellowship from the National Endowment for the Arts, among other honors. She earned an MFA from the University of Michigan and lives in Cambridge, Massachusetts. To learn more about her, visit celesteng.com or follow her on Twitter (@pronounced_ing). 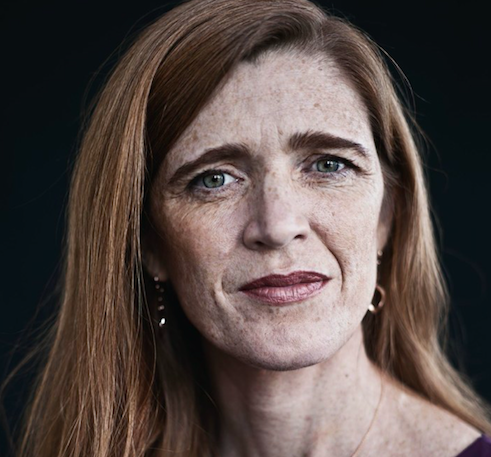 Ambassador Samantha Power is the Anna Lindh Professor of the Practice of Global Leadership and Public Policy at Harvard Kennedy School and Professor of Practice at Harvard Law School. From 2013 to 2017 Power served as the 28th U.S. Permanent Representative to the United Nations, as well as a member of President Obama’s cabinet, becoming the public face of U.S. opposition to Russian aggression in Ukraine and Syria and negotiating the toughest sanctions in a generation against North Korea. From 2009 to 2013, Power served on the National Security Council as Special Assistant to the President and Senior Director for Multilateral Affairs and Human Rights. Before joining the U.S. government, Power was the founding executive director of the Carr Center for Human Rights Policy at the Kennedy School. Power’s book, “A Problem from Hell”: America and the Age of Genocide won the 2003 Pulitzer Prize and the National Book Critics Circle Award. Power is also author of the New York Times bestseller Chasing the Flame: Sergio Vieira de Mello and the Fight to Save the World (2008) and the editor, with Derek Chollet, of The Unquiet American: Richard Holbrooke in the World (2011). She has twice been named to Time Magazine’s “100 Most Influential People” list. Power earned a B.A. from Yale University and a J.D. from Harvard Law School. Ayanna Pressley’s career has been marked by history-making campaigns and a relentless determination to advance a policy agenda focused on girls and women, breaking cycles of poverty and all forms of violence, and reducing trauma in our communities. Pressley was first elected to the Boston City Council on November 3, 2009, becoming the first woman of color ever to do so. In 2011, she became the first woman in 30 years and the first person of color ever to top the ticket. On the trail and in office, Pressley doesn’t shy away from sharing her story as a survivor of childhood sexual abuse and sexual assault as a college student. Pressley founded and Chairs the City Council’s Committee on Healthy, Women, Families, and Communities and has built broad and diverse coalitions to advance lasting, meaningful reforms to complex social issues like teen pregnancy and trauma. Pressley is a Planned Parenthood Advocacy Fund’s Champion of Choice (2016), EMILY’s List Rising Star (2015), Victim Rights Law Center’s Leadership honoree (2014), and an Aspen-Rodel Fellow in Public Leadership (2012). Elias Rosenfeld is a Dreamer. When he was six, his parents brought him here legally from Venezuela on a visa through his mother’s job. If everything had gone according to plan, his entire family would have eventually become permanent residents. But things didn’t go as planned. Five years after moving to the U.S., Elias’ mother died of cancer. And with her death, Elias lost his path to permanent resident status. He became undocumented. Since then, he has become a national advocate to mobilize support across communities and Congress to pass a Dream Act. Hank Phillippi Ryan is the on-air investigative reporter for Boston's WHDH-TV. She's won 34 EMMYs, 14 Murrows, and dozens more honors for her ground-breaking journalism. The nationally bestselling author of nine mysteries, Ryan's also an award-winner in her second profession—with five Agathas, two Anthonys, two Macavitys, the Daphne, and for The Other Woman, the coveted Mary Higgins Clark Award. Critics call her "a superb and gifted storyteller" and "a master of suspense." She is the only author to have won the Agatha in four different categories: Best First, Best Novel, Best Short Story and Best Non-Fiction. Her novels have been named Library Journal's Best of 2014 and 2015—and Ryan's newest novel, Say No More, is a Library Journal Best of 2016. It is also honored as a Mary Higgins Clark, Daphne and Agatha Award nominee. Hank is a founder of MWA University and 2013 president of National Sisters in Crime. Watch for Trust Me in 2018. Karim Sahyoun is Founder and Executive Vice President of Blueprint Robotics, a leading-edge offsite manufacturer of custom designed single and multifamily structures. Prior to founding Blueprint Robotics, Mr. Sahyoun worked in commodity finance for a large New York bank, as AVP – Finance for large shipping and trading group, and, for over twenty years, as a strategy consultant at Lochridge & Company, a Boston‐based strategy and operations consulting firm. Mr. Sahyoun is currently a Trustee of Mt Ida College as well as a member of the Board of Directors of CPW Inc. He earned a BA in Economics and Political Science from Trinity College, Hartford, CT and an MBA from the Wharton School of the University of Pennsylvania. Jenny Slate is an actress, stand-up comedian, and the NY Times best-selling author of the children's book Marcel The Shell with Shoes On: Things About Me. In 2014, she was nominated for an Independent Spirit Award for "Best Female Lead” and won a Critics’ Choice Award for "Best Actress in a Comedy” on behalf of her performance in “Obvious Child.” She voiced the character of “Bellwether” in Disney’s Academy Award winning film "Zootopia," as well as "Gidget" in "The Secret Life of Pets.” Her TV credits include "Girls," "Parks and Recreation," and "Saturday Night Live," and her films include "Obvious Child," "Gifted," and "Landline." She recently finished filming "Hotel Artemis" opposite Jodie Foster, and is currently filming the Marvel movie "Venom" with Tom Hardy and Michelle Williams. Jenny is a graduate of Columbia University and lives in a little 100-year-old house in Los Angeles, where nobody ever gets old at all. Ron Slate was born in Quincy, MA. He earned his Masters in creative writing from Stanford University and edited a poetry magazine, The Chowder Review, from 1973 to 1988. In 1978, he left academia and began a business career in communications and marketing, and was VP of global communications for EMC Corporation. More recently he was COO of a biotech/life sciences start-up and co-founded a social network for family caregivers. He is a board member of Mass Humanities and a member of the National Book Critics Circle. His books of poetry include The Great Wave and The Incentive of the Maggot, which won the Bakeless Poetry Prize (Breadloaf Writers Conference) was nominated for the National Book Critics Circle poetry prize. He reviews books at a website called “ On The Seawall” and lives in Milton and Aquinnah, Massachusetts. Rose Styron is a poet, journalist, translator and international human rights activist. She's published four volumes of poetry (Viking, Rizzoli), and traveled widely for Amnesty International and other human rights organizations, chairing AIUSA’s National Advisory Council, PEN's Freedom to Write Committee and the RFK Human Rights Award. A variety of her articles appeared in national periodicals on her involvement. In 2009 and 2010 Rose was a resident fellow at Harvard’s Institute of Politics and its Carr Center for Human Rights. Recently she has written introductions to Letters to My Father (LSU Press) and The Selected Letters of William Styron (Random House), also editing the latter. Her essays and book chapters are published from time to time. With Meryl Streep, she co-chairs Poetry and the Creative Mind on stage at Lincoln Center on behalf of the Academy of American Poets each April. Beyond Conflict, with its new emphasis on neuroscience and conflict resolution, involves her now. Rose’s new volume of poems Fierce Day was published last year. She is currently working on a memoir and literary articles.